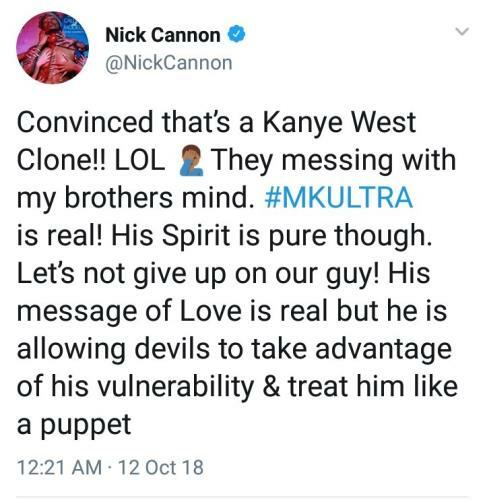 Wild N' Out Host Nick Cannon posted a telling Tweet saying he thinks Kanye West was cloned & MKULTRA is real. Well of course it is real. But telling that a fellow industry member would publicly say so. Indeed the best way to hide things is in plain sight. People often take statements as these as comical and are dismissive. This is the intent. 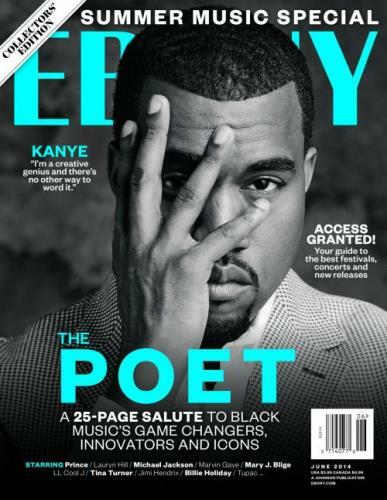 It is obvious by his bizarre behavior Mr. West is dealing with his demons or the demons are controlling him.